The shape is to be painted as a chalkboard to countdown the days which also means the sign can be reused again. This design comes in 3 pieces for you to glue together. 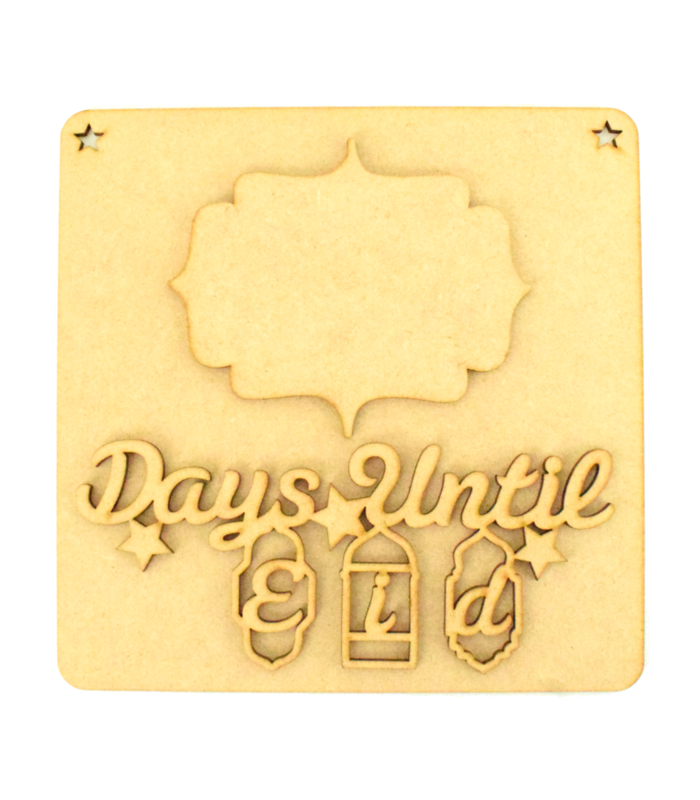 The shape and the wording need to be glued onto the plaque to create a 3D countdown plaque. Glue is not included but we recommend using wood glue. 2 stars cut out at the top to thread the ribbon or twine to hang your plaque.